Available from Precision Metal Group , the Pedax Twinmaster 14 X is a new range of servo-driven stirrup benders delivering high output and maximum performance. The new automatic stirrup machines are designed to process hot-rolled and cold drawn wire from 6mm up to 14mm and double strand up to 10mm. 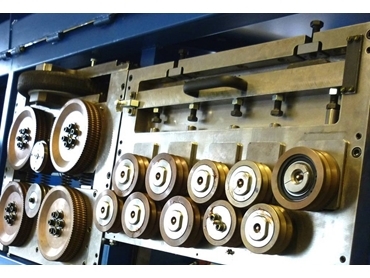 The differentiated roller sizes also give better straightening results for all diameters. Pedax Twinmaster 14 X servo-driven stirrup benders come with an integrated pre-feeding unit for easy threading of two wires, and a straightening system, which uses the well-known Quick-Jig system combined with an automatic adjustment of the last roller in each straightening roller by means of two joysticks.